I'm usually not a fan of end-of-year remembrances; in fact I never read them. 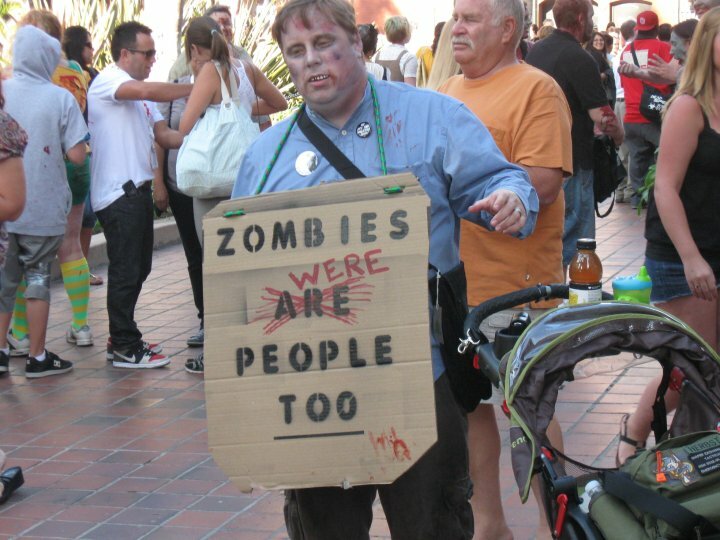 However, I feel like this has to be put out there: Was 2010 the Year of the Zombie? I say this because I feel like zombies were so hip that they were shoved down my throat as they tried to rip it out. In all fairness, it really started (for me at least) in July at SDCC. So this is really the six months of Zombie but year sounds better. 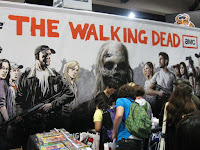 Zombies were everywhere, from merchandise to the zombie march to costumed zombies to the giant The Walking Dead panel. Yes, TWD, I blame you. ;) Thinkgeek started pushing their huge amount of zombie merch and TWD books were flying off the shelves. NYCC was the same, if not worse. Now with the success of TWD, this will only continue. There are zombie web series, and humorous zombie holiday shorts. Soon, who knows? To be honest, Zombies freak me out. I still watched The Walking Dead, and liked it despite the nightmares. My only fear/desire is that zombies will mainstream to the point that they sparkle. I would hate it but am damn curious to see how it can be done. Year of the Frankenstein. I need more evil resurrection in my life.